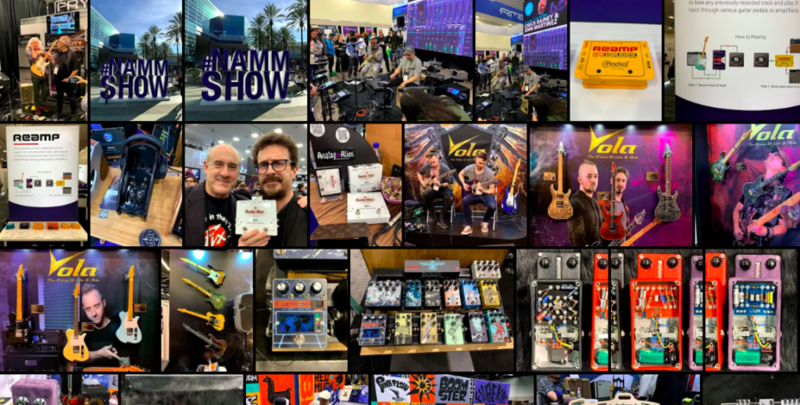 This year again the Winter NAMM has proved to be a unique opportunity to make reports and interviews impossible to do elsewhere. 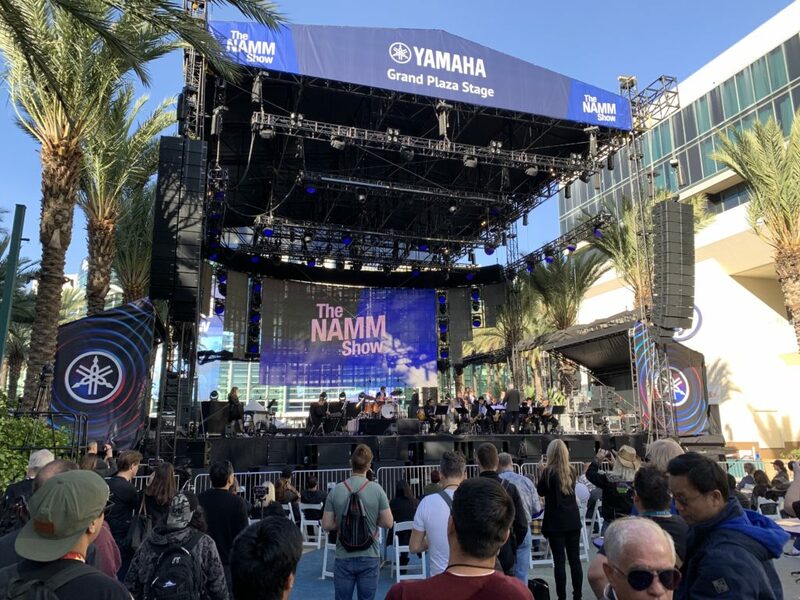 Thus, it is more than 30 videos that The Guitar Channel has realized on site to make you live from inside this American show which is the major point of the entire musical instrument industry of the year. It was a camera in hand that The Guitar Channel walked the aisles of the Anaheim Convention Center to make you live as much as possible. You will find sequences shot during the demos, in the alleys, before the interviews, etc. 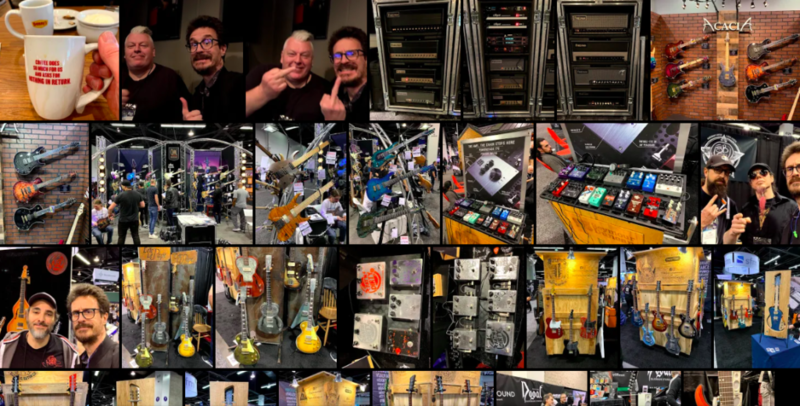 It should be noted that The Guitar Channel was one of the few journalists present at the Fender Custom Shop evening on Wednesday evening, which was mainly reserved for resellers. While in Los Angeles, The Guitar Channel took the opportunity to visit the Musicians Institute (formerly known as the Guitar Institute of Technology), an institution! A video tour of the premises and an interview with the head of the guitar section, Stig Mathisen, were shot. 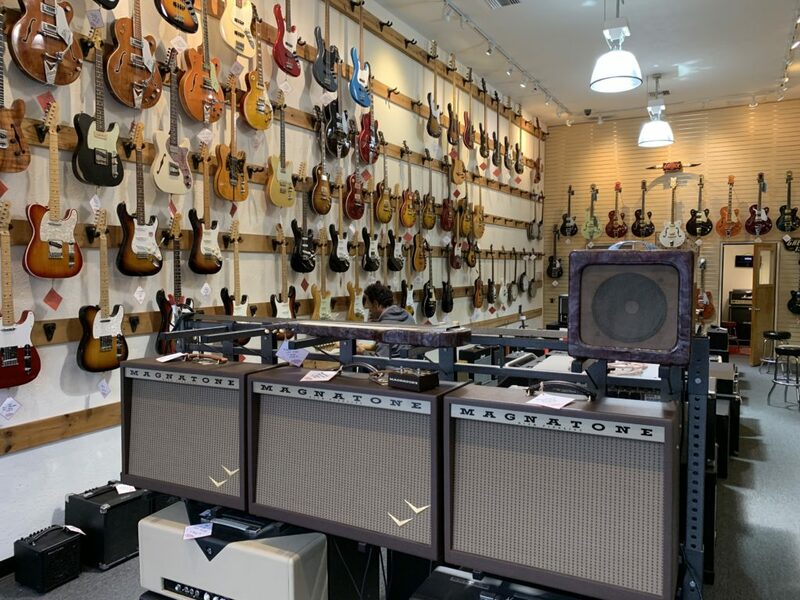 But we did not stop there, there are also 3 visits of guitar shops as well as an interview with luthier Isaac Jang and a visit of his workshop which is 30m from the Walk of Fame. This 2019 edition was the 5th for La Chaîne Guitare. The highlight from a guitar point of view, it was of course the great return of Gibson who had a really great booth on the 3rd level. The brand obviously wanted to make a strong impression, it's successful! There were many beautiful guitars and a flawless animation with great bands on stage. The migration from hall E to the basement to the ground floor continues. 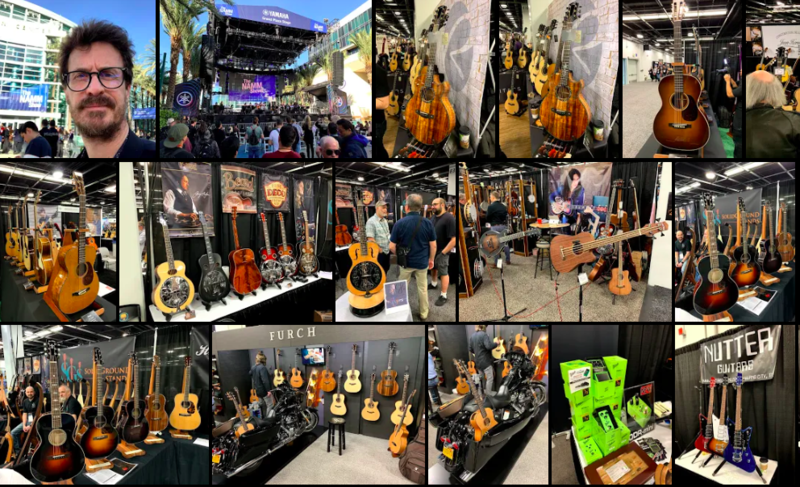 There are still a few brand-name exhibitors in the basement such as Collings, Santa Cruz, Lowden and Breedlove, but most of the surface of this hall is occupied by the Chinese exhibitors all more boring than the others. There was a significant number of French exhibitors present which is a sure sign of vitality even if one can legitimately wonder what some of them are actually achieving by being in a US show. Appointment is made for the 2020 edition anyway! Until the next NAMM article, keep on playing the guitar!